1) Happy Boxing Day: and on to the New Year! 1) Happy Boxing Day and on to the New Year! We made a lot of progress in 2011 working with leaders, activists, innovators and people all over the world who are ready to help launch the reinstatement of appropriate-scale alcohol fuel as a mainstream energy fuel for all manner of applications including cooking, refrigeration, transportation, heating and electrical production. We at IIEA have been working as part of the UN’s Global Alliance for Clean Cookstoves and the Partnership for Clean Indoor Air, working with entrepreneurs in South and Central America, Indonesia, Haiti, New Zealand and all over the United States to promote the use of surplus and waste stream as well as natural resources to produce clean energy. The good news is we are seeing great results stemming from our efforts. We know from your emails and letters that IIEA members everywhere are active and doing all they can to help turn the grist mill and grind out the fine first implementations and transformations of what can, and must be, the new energy policy for our planet. We are so appreciative of your commitment, caring and support. However, in light of the current onslaught of legislative roadblocks and media propaganda spewing from the Federal dupes and multi-national corporate “Oil Slicks”, it is obvious the price for our vision is eternal vigilance. The nay-sayers are working tirelessly to convince us of how safe it is to use heavy metals and toxic waste to blast through the earth to find “pockets” of natural gas. 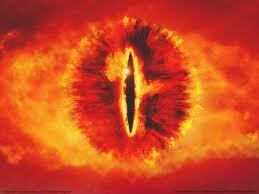 They are working like Sauron’s legions, mindlessly and full of the wrong ambitions and desires. 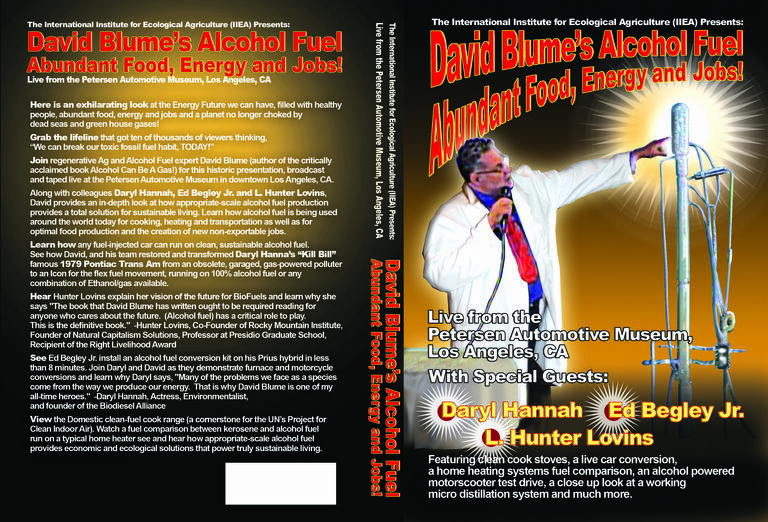 We know that abundant long term non-exportable work based on appropriate-scale alcohol fuel and related byproducts production will provide strong local economies, food, energy, clean water and help us repurpose our wasteful ways. Obviously the forces of avarice, gluttony and greed are real and compelling and Saruman’s minions are doing all they can to keep us dependent on toxic and extremely expensive fossil fuels in every way possible. As Russia, Canada, Norway and Denmark begin their legal battles over who has the right to drill and despoil the Arctic Ocean including the mythically jolly fellow Santa Claus’s home-port (the North Pole), we see once again how ruinous and potentially cataclysmic this course of action is and has proven to be time and again. Reading the following two recent news articles underscores why your constant vigilance and support are needed now more than ever. 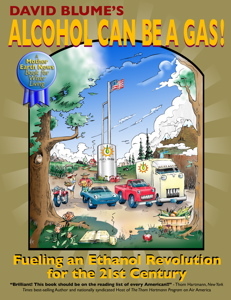 We have to stop this lemming’s rush to push alternative alcohol fuel off the resource roadmap. We have to keep pointing out that we have cataclysmic proof that drilling five miles below the ocean surface or fracking through water tables or building one more nuclear power plant time-bomb is not a necessary or tolerable course of action. Please stand with us. Please help IIEA continue to ring the chimes of reason. Please do all you can to help us manifest hope and abundance for our communities, regions, states, Nation, countries and the planet. There is an African proverb that states, “If you think you are too small to make a difference, try sleeping in a closed room with a mosquito”. Be the change you want to have. All the best in a bright New Year! The sinking of a floating oil rig that left more than 50 crew dead or missing is intensifying fears that Russian companies searching for oil in remote areas are unprepared for emergencies — and could cause a disastrous spill in the pristine waters of the Arctic. Only four months ago, Russian energy giant Gazprom sent Russia's first oil platform to the environmentally sensitive region, and industry experts and environmentalists warned it is unfit for the harsh conditions and is too far from rescue crews to be reached quickly in case of an accident. They are demanding Russia put Arctic oil projects on hold. Russia is the world's largest oil producer, but it extracts most of its oil onshore, with no more than 2 percent of its production coming from mature offshore fields in the warm Black and Caspian seas and relatively new fields just off Sakhalin Island in the far-east. As Russia's core oil fields in Eastern Siberia are depleted, companies are looking north. The government hopes that up to 80 million tons of oil will be produced annually in the Arctic by 2030. Russia is trying to assert jurisdiction over parts of the Arctic, which is believed to hold up to a quarter of the Earth's undiscovered oil and gas. By speeding up the Arctic oil project, the government is strengthening its bid. The Kolskaya floating oil rig that capsized and sank in the Sea of Okhotsk on Dec. 18 had done exploratory drilling for Gazprom Neft Shelf, a subsidiary of Gazprom. It was being towed back to an eastern Russian port in a fierce storm when a strong wave broke some of its equipment and portholes, and it capsized in the choppy water. Gazprom is now pioneering the oil development of Russia's sector of the Arctic and was the first Russian company to dispatch a drilling rig to the Pechora Sea in northwest Russia. Russian oil companies have never operated in weather conditions as harsh as those found in the ice-bound Arctic, where ice ridges are meters (yards) deep and storms are frequent. The Kolskaya accident has reinforced fears that they are unprepared to meet the challenges. "This tragedy has once again reminded us of how high the risks of offshore accidents are," said Alexei Knizhnikov, an oil and gas policy officer with the World Wildlife Fund. WWF, Greenpeace and five regional Russian environmental organizations signed a petition on Thursday calling for a parliamentary investigation and urging the government to suspend the oil projects for now. The petition accuses government agencies of failing to enforce environmental and safety regulations and says that current laws are inadequate for dealing with the magnitude of risk in the Arctic. Environmentalists first raised their concerns when Gazprom announced in August that it was sending its platform to the Arctic for exploratory drilling in the Pechora oil field, which holds some 6.6 million tons of oil. The platform's underwater section was built in Russia in the 1990s, while its upper part comes from a platform built in Scotland in 1982 and decommissioned from the North Sea in 2002. Gazprom insists the Prirazlomnaya platform, billed as the first to be ice resistant, is safe and contains no old equipment except for its frame. "We've done our best to implement the latest technology and regulations to prevent any accidents," Vladimir Vovk, chief of Gazprom's department for the management of equipment and technologies in developing marine fields, said at a news conference in September. Environmentalists question both the state of the equipment and the platform's design. Because the Prirazlomnaya is situated hundreds of kilometers (miles) offshore, it is designed to store huge quantities of oil until tankers can arrive to collect it. The platform's storage tanks can hold up to 120,000 tons (840,000 barrels). Unlike the Kolskaya, which was carrying no oil when it sank, the Arctic platform could potentially cause a disastrous spill if it capsized in icy, rough seas. The distance from shore would also complicate any rescue or cleanup mission. The nearest port of any size is in Murmansk, some 1,000 kilometers (600 miles) away. Even in warmer, more hospitable waters, accidents at oil platforms have been disastrous. A giant oil slick was approaching the coast of Nigeria on Friday after what Royal Dutch Shell said was a spill during the transfer of oil from its floating platform in the offshore field to a waiting tanker. The spill came less than a week after Shell received approval from the U.S. government to drill exploratory wells off Alaska's northwest coast, in the Chukchi Sea near Russian waters. In the Gulf of Mexico, the 2010 explosion of the BP-operated Deepwater Horizon rig killed 11 workers and led to more than 200 million gallons (4.8 million barrels) of oil spewing from a well deep beneath the sea. Russia's parliament gave preliminary approval in September to a bill intended to tighten regulations on oil companies working in the Arctic. Yekaterina Khmelyova, an environment law officer at the WWF, said the bill does not do enough to hold the oil companies publicly accountable or to guarantee a full assessment of the environmental risks. She said environmentalists and the business community are working on a new draft that among other things would provide for the creation of clean-up funds. Oil industry experts also have expressed doubts about Gazprom's expertise in offshore drilling in the Arctic as well as the platform's design. They have questioned the economic justifications for the project. The oil in the Pechora field is of low quality and the project will be loss-making without tax breaks, said Valery Nesterov, a senior analyst with the Moscow-based investment bank Troika Dialog. For state-controlled Gazprom, the Arctic project appears to be more of strategic importance than about any immediate economic benefits, he said. "This is clearly a strategic task that the company is executing," Nesterov said. "It looks like Russia is not going to give up that strategy since the interests of ship yards, machinery producers and, possibly, the military are involved." Four years ago, Russia staked its claim to supremacy in the Arctic by planting a titanium flag on the ocean floor and arguing that an underwater ridge connected the country directly to the North Pole. The United States does not recognize the Russian assertion and has its own claims, along with Denmark, Norway and Canada. Russia, Canada and Denmark are planning to their respective file claims to the ridge to the United Nations. In past years, Russian ship yards and machinery producers have been able to stay afloat largely thanks to large orders coming from state-owned plants and government-sponsored projects. A large-scale oil and gas development of the Arctic is likely to give a welcome boost to both industries. WASHINGTON - December 23 - Congress finished its tax legislation today without including a provision to extend a massive subsidy for corn ethanol that is set to expire at the end of the year. The subsidy — the Volumetric Ethanol Excise Tax Credit — has provided the oil and agribusiness industries with $0.45 per gallon of ethanol blended into gasoline, amounting to a total of approximately $6 billion each year. “The end of this giant subsidy for dirty corn ethanol is a win for taxpayers, the environment and people struggling to put food on their tables. 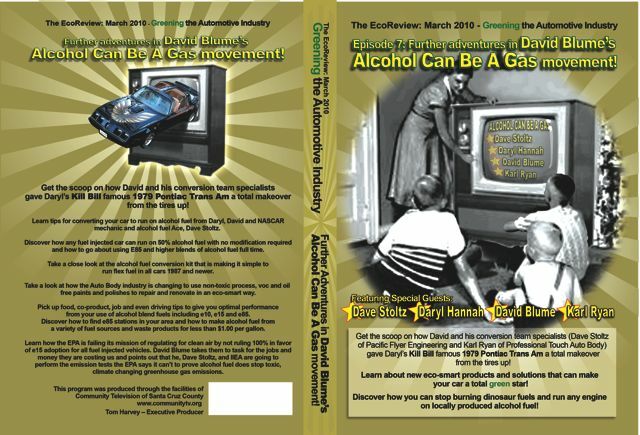 “Corn ethanol is extremely dirty. It leads to more climate pollution than conventional gasoline, and it causes deforestation as well as agricultural runoff that pollutes our water. “The growing demand for fuel crops also means less land is available for growing food, so food prices are going up. This is something many families simply cannot afford. “Given corn ethanol's downsides, it's outrageous that taxpayers have been subsidizing the industry to the tune of $6 billion a year. The industry's inability to get this tax credit extended signals that it no longer has carte blanche in Washington — corn ethanol is no longer a sacred cow. “Even though the corn ethanol industry has been weakened we must remain vigilant. Pork like this has a way of ending up back in the barrel without sustained opposition. “We will now also turn our attention to ending other federal policies that support dirty corn ethanol, including the Renewable Fuel Standard, which requires a radical increase in biofuel consumption by 2022." We are changing the future and with your help, we can continue to help show people everywhere how easily and cost effectively this can be done. This isn’t a stumble backward to the Stone Age to do without. Ours is a great journey forward to do so much better with what we have!